Thanks to Meg the Cool Girl for the nomination! 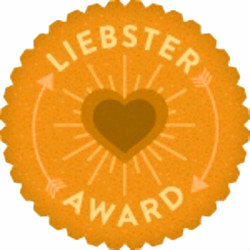 The Liebster Blog Award is all about discovering blogs and helping those with less than 200 followers to get recognized! I did some research (googled stuff) and honestly can’t tell you where this originated – I feel like it’s one of those chain letters, only blog style! I also don’t know how you know if you’re awarded or if the nomination basically count…no idea. But it's pretty cool, in my 'research' I did learn that this really intertwines and links a lot of people! Each person awarded must post 11 facts about themselves. Answer the 11 questions the nominator has set for them. Choose five bloggers to nominate. Create 11 more questions for the bloggers they will nominate. Let the lucky blogger know. I like matching pajama sets. When I get a good find at a thrift store or on clearance it awakens something within me and I get nervous that I’m missing something awesome on some other shelf and I have to fight the urge to go everywhere! I like fruit and I like chocolate, but I do not care for chocolate covered fruit. Creating feeds my soul. Whether it’s cooking, crafting, creating an outfit, writing a blog post – it all rejuvenates me. (Find out what runs you here). In the color code I am red. Very red. I’m currently watching Modern Family, Downton Abbey, How I Met Your Mother, and Elementary. I love pink flamingos and giraffes – they’re like the super models of the animal kingdom. I don’t like/completely get Twitter. I like my fingernails short. I’m a natural blonde, but I’ve been a brunette and a redhead (all within a month…see it here!). I am the youngest in my family – and have all the standard attributes. What is your favorite song at the moment? The entire Rock of Ages soundtrack – 80’s rock classics revamped and mixed, so amazing! Oh, and As Long As You Love Me – Justin Bieber feat Big Sean (yes, I’m a tiny bit ashamed!). What is your favorite quote? I’m a quote person – I have notebooks full of quotes (which is completely useless since there is no order). Here’s one of my favorites: “Our deepest fear is not that we are inadequate. Our deepest fear is that we are powerful beyond measure. It is our light, not our darkness that frightens us. We ask ourselves: who am I to be brilliant, gorgeous, talented, fabulous...? Actually, who are you not to be? You are a child of God. Your playing small doesn't serve the world. There is nothing enlightening about shrinking so that other people won’t feel insecure around you. We are born to make manifest the glory of God that is within us. It is not just in some of us, it is in everyone, and as we let our light shine, we unconsciously give others the permission to do the same. As we are liberated from our fears, our own presence automatically liberates others.” I really believe that by discovering and becoming oneself that you help those around you do the same – we need more of that! 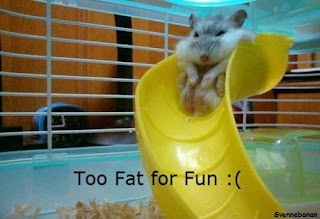 Haha *sigh* gets me every time! What is something you are afraid to do? Skiing or boarding (water or snow) – I just missed the boat where everyone learned and now I’m a mix of being scared of getting hurt, looking stupid, not having fun, and taking away from the infrequent times Husband gets to go. And whenever it comes to learning I’d rather use the time and money elsewhere. What is something most people don’t know about you? My husband went from meeting each other to being married in seven months. Judge me, it’s okay, I would judge me too, it was definitely not my premeditated plan. It didn't feel like we were going fast at all, it was just so natural and fluid with no hiccups. It also made me learn that you can never judge the way people do things in their lives – some people need years some people only need a few months- we all have different plans and courses. What is one thing you wish was a trend in fashion? Greasy hair. I’m not talking nasty unhygienic, showering should always be ‘in’, but I hate how much styling damages my hair – I wash it every few days, but I wish I could just go one day more. I wonder how much healthier my hair would be. Men get to let themselves slack on grooming and get scruffy and it’s all grunge cool …why can’t I slack and look grunge cool? So, that’s a no on greasy hair… then let’s go with hats. They’re always on the out-skirts of fashion, or maybe I’m just too timid to wear them. But I wish that ostentatious hates were in! What is the story behind your blog url? I’ve grown up being (accurately) labeled as a chatter box. My parents tell stories of when I was little I would talk to everyone – the lonely kid on the playground, the random lady behind us at the grocery store checkout, the person trying to help me find my mom cause I wondered off. Also, Moe was my nickname for years! What is your favorite movie? What a tough question! Can’t I be asked how to end world hunger instead? I’ll list a few: What Happens in Vegas, Pride and Prejudice, You've Got Mail, and the new Batman trilogy. Hmmm…yup, I think I covered almost every genre! Do you have a favorite constellation? Sagittarius. It’s my zodiac sign, which while I don’t take that stuff to heart I fine completely interesting! Oh, and it’s Latin for archer, makes me feel close to Katniss Everdeen. What would you camp out all night for? If you had to spend the rest of your life eating the food of one country what would that country be? If you applied a label to yourself, what would it be? Where do you scrimp and where do you splurge? What is some good advice that you wish you would have followed? Who taught you to cook? Or how did you learn? What is the funniest place you have ever fallen asleep? winning blogger awards is the most exciting thing! I know! I was going to tell you cause I saw that you've won before! It really did make my week! Thanks Meg - and thanks so much for nominating me :)! Congrats on the award and thanks for nominating me! I'm flattered! You're welcome! I've really enjoyed your blog, you deserve it!! Congratulations for the award darlin! Congrats on the award! You totally deserve it:) In regards to your #8 question: DRY SHAMPOO! I love Kenra if you want to do expensive, and Dove if you want to do cheap. Both smell AMAZING. I only wash my hair twice a week! Good tips - I discovered dry shampoo on my mission, changed my entire service! I love that more companies are making it! The soundtrack is truly wonderful - I like it better than a lot of the originals. Thanks for following!